Anxiety at the Dental Office! 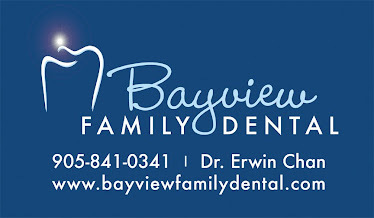 Many people, including young kids, may find the dental office an anxiety provoking place. A technique to help kids, particularly kids with Autism Spectrum Disorder, is to discuss a social story prior to going to the dental office. 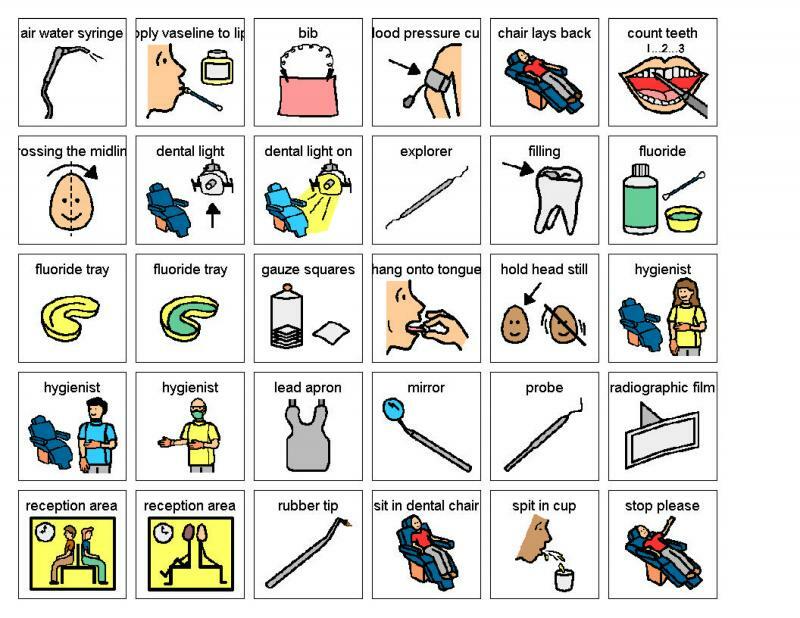 The Hands in Autism Resource centre has a great tool to help kids out. It is like a visual story. 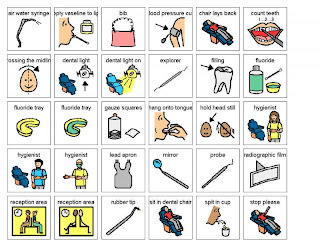 The dental visuals icons may also be helpful from Living Well with Autism.